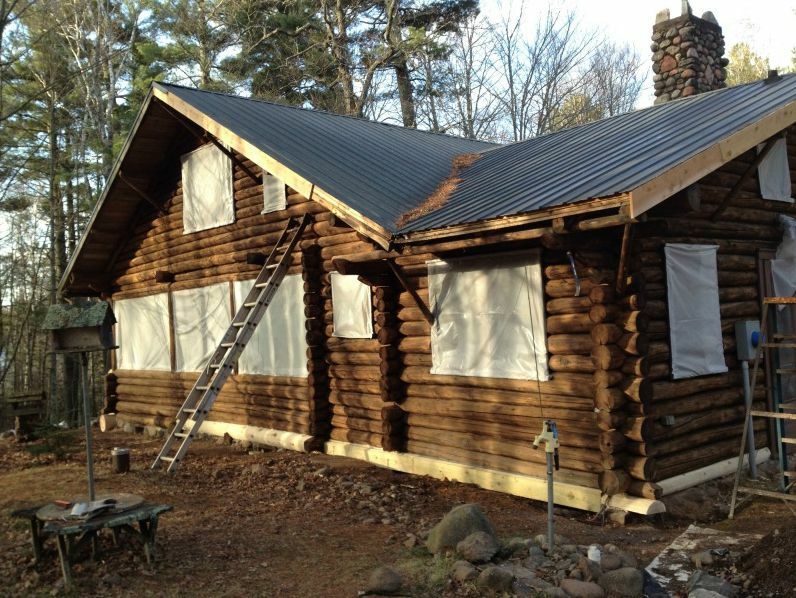 Log home restoration projects like this one we completed near Duluth, Minnesota, are what we do best. When the Williams family approached us to work on their home, we were excited to see what we could do to bring it back to its original beauty. The home had significant meaning to the family, and they needed a company that they could trust with their family treasure. 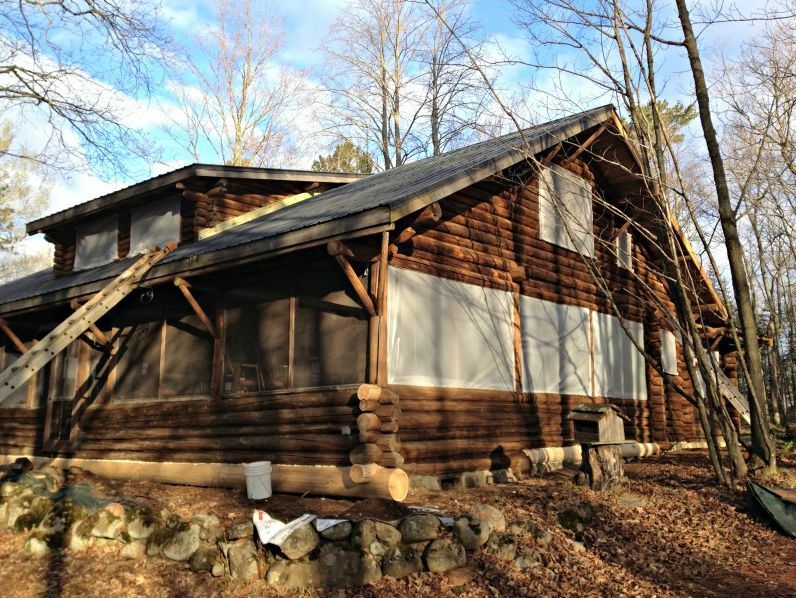 This was a large, turn-of-the-century “Roosevelt style” lodge that was situated on Lake Fredenburg, just north of Duluth, MN. 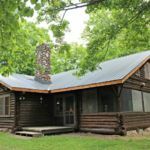 The log lodge needed our full range of services. 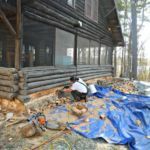 There were several steps to this restoration project. We started by blasting off the old finish. The home had been treated with Penta, which was a popular choice years ago. Penta was used as a wood preservative from the 1950s up until the 1980s. Penta (pentachlorphenal and creosote) was outlawed in the 1980s for public use because of its toxicity. 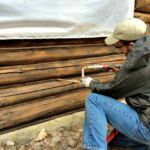 Many log homes here in the Midwest have had this chemical applied to the exterior over the years. 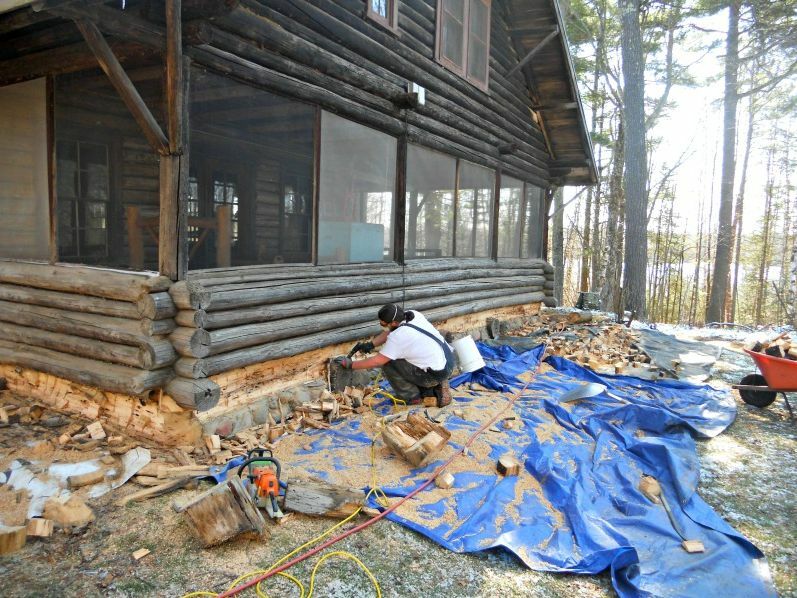 Today, many of these same log homes are turning black as the preservative effect of the chemical is wearing out. 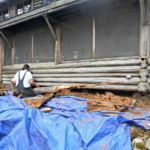 Penta wood treatment tended to preserve the outer 1/2″ of the wood and if it did develop rot, the rot would take hold deeper into the log where the Penta had not penetrated. 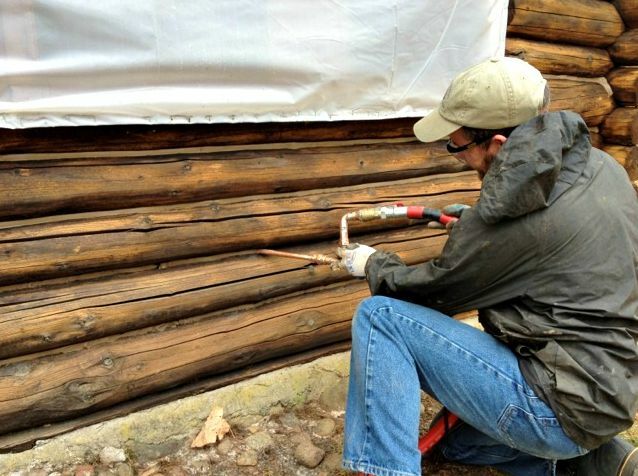 Once the home was blasted, we treated the fresh wood with a modern preservative, PeneTreat. Read more about this type of preservative. 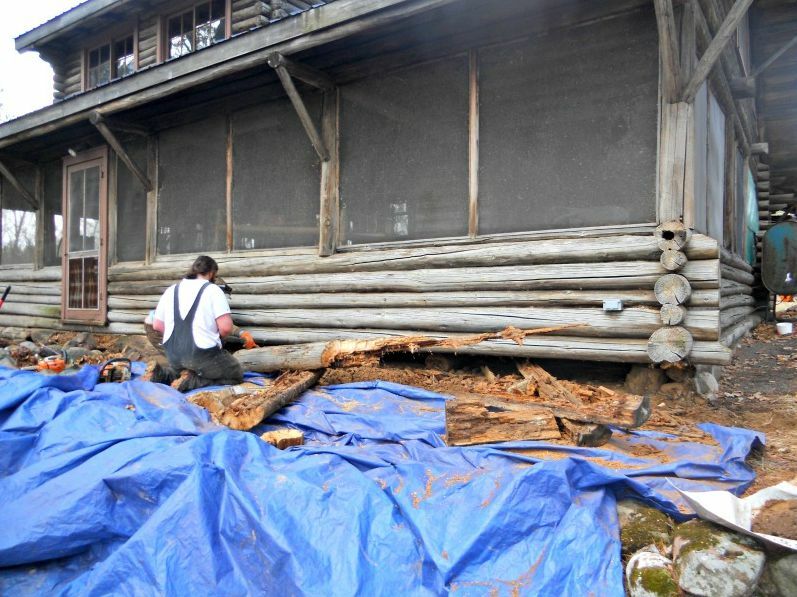 Then it was on to removing the rotten logs. Some of the logs had rotted more that 50% into the log. 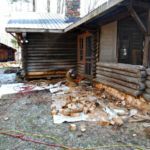 For these logs, we did a whole log replacement. 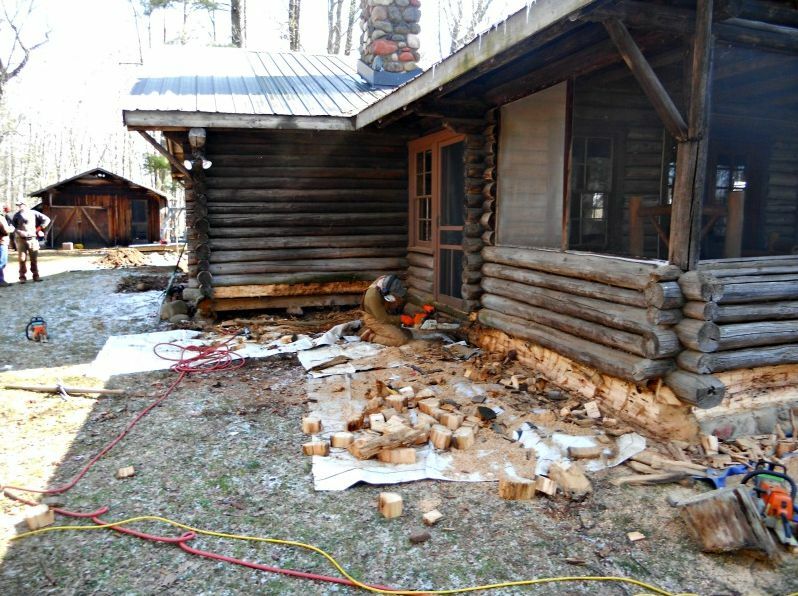 Other logs still had at least 50% of solid wood, so we did a half-log replacement on those. Some of the logs were really long – 35+ feet long. 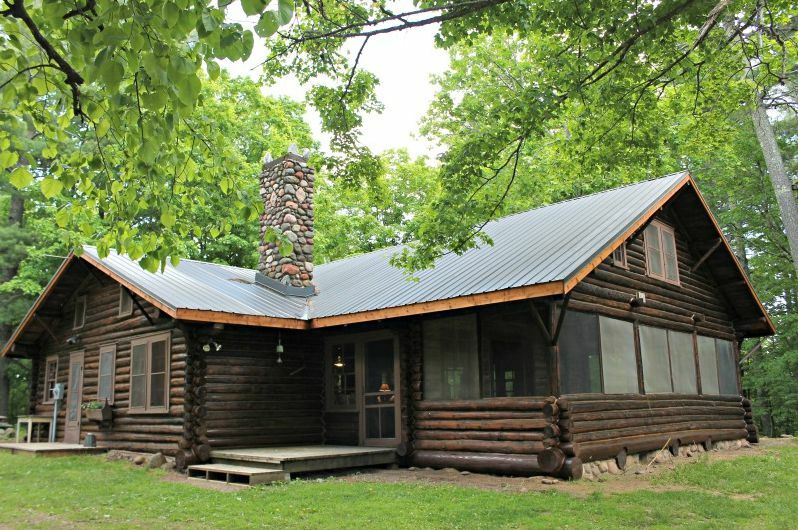 We used kiln dried cedar logs because they are naturally rot-resistant. We replaced the horse hair chinking with Perma-Chink brand chinking – “a pure acrylic that adheres to logs and stretches to maintain a tight seal by following log movement”, according to the package. 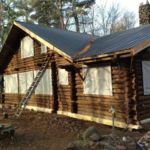 The final step was to apply a quality log home stain to protect the logs from the elements. On this project we used Sansin Classic stain. Once completed, this transformation was impressive. 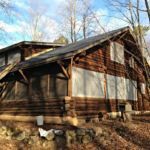 Log Cabin Repair – Leaking around windows – what’s the solution?